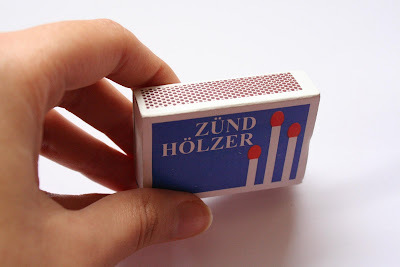 i found these gorgeous set of blocks during my Melbourne trip!..they are tiny colorful blocks that come in a match box!these were made in Germany. News about little land reached France:)Deborah Beau was so wonderful to email me saying she liked 'little land' and would like to feature it on her blog. Her blogs are a delight to go through! 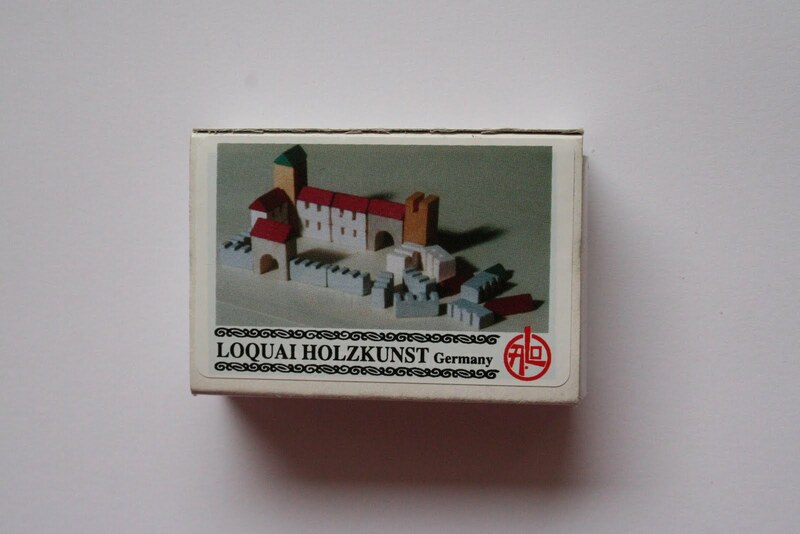 sold my first set of little land of 30 little pieces and a base. MAIS school is considering buying some for their prep classes too! These will be of various themes depending on their syllabus. I completely ignored the details on the previous posts! I got a few pieces engraved with simple graphic patterns too! They really surprised me..quite a beautiful technique. I'm a student of Visual Communication Design and interactive toy design at Srishti School of Art, Design and Technology. This blog is a documention of my final Project. I have been a part of a year long full-time interactive toy design lab run by Finnish toy designer Anders Sandel at Srishti. I am really fascinated by how children use toys to tell stories. 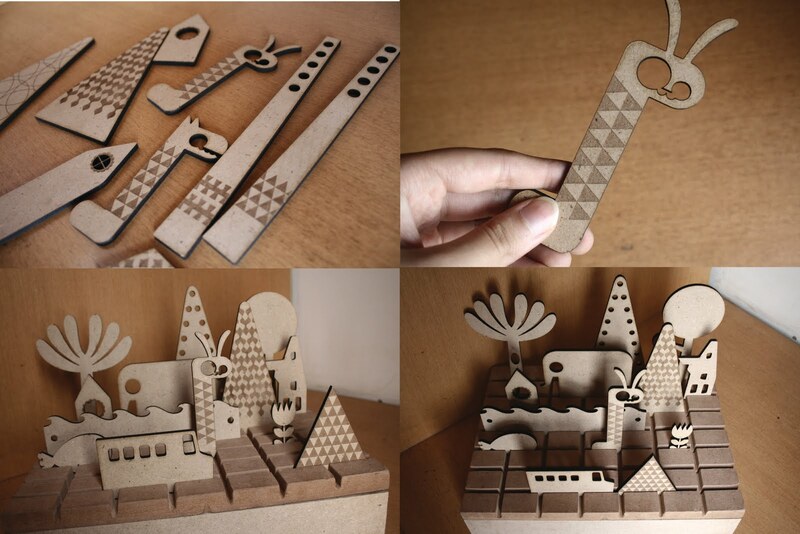 I decided to design toys that allow children to engage in storytelling by creating landscapes for their toys. 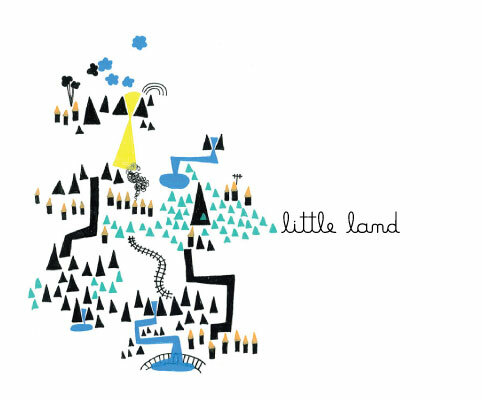 Little Land is my current project that explores this idea. It makes use of a simple grid and wooden pieces that slide into the grid. This blog gives an insight into my ideas, thoughts and process. little land by Nalisha Chouraria is licensed under a Creative Commons Attribution-NonCommercial-NoDerivs 3.0 Unported License. Permissions beyond the scope of this license may be available at nalishachouraria@gmail.com.